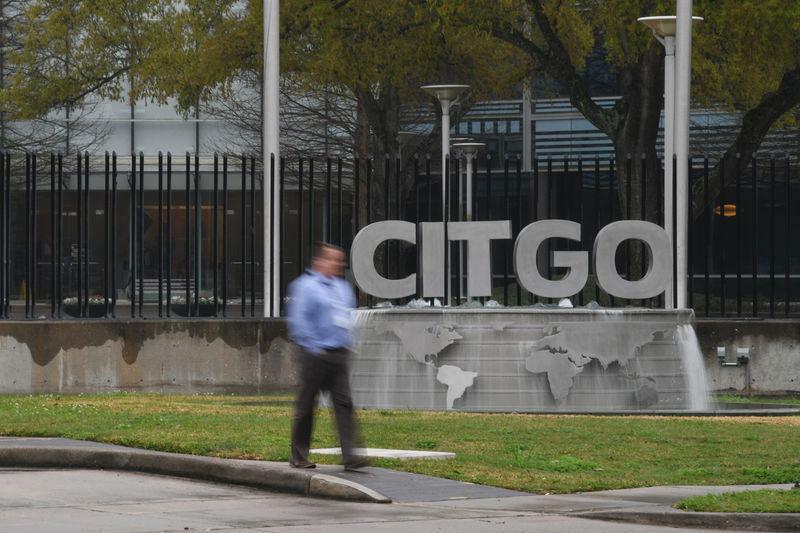 It is unclear if Citgo's new board has completed a registration process in Delaware to legally take control of the company. 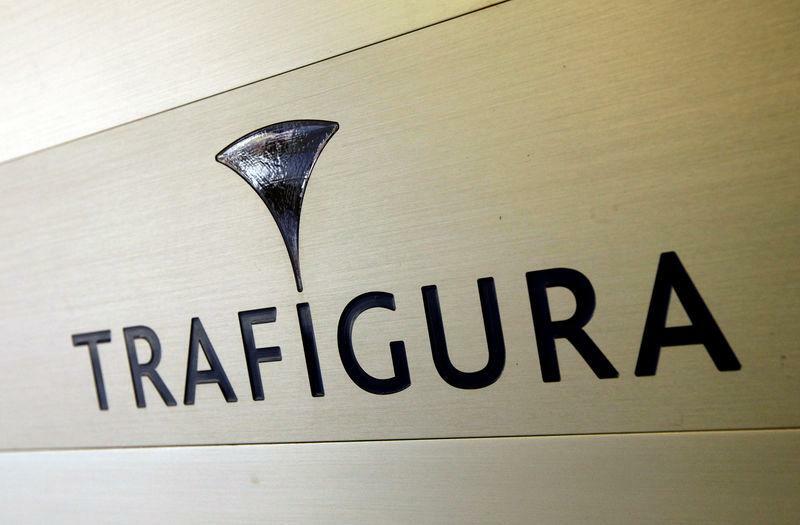 The new board could face a legal challenge by PDVSA's current leadership if the board was not legally constituted. The U.S. shale industry responds only to oil price signals and is like “a market without brain”, BP’s chief executive Bob Dudley said on Tuesday. “The U.S. is the only country that completely responds to market signals ... like a market without a brain. It just responds to price signals,” Reuters quoted Dudley as saying at the ongoing International Petroleum Week conference in London. “Unlike Saudi Arabia and Russia, which adjust their output in response to gluts or shortages in oil supplies, the U.S. shale market responds purely to oil prices,” said the CEO of the UK oil supermajor, which completed last year a US$10.5-billion deal to buy U.S. shale assets from BHP in what was BP’s biggest acquisition this century, and one that BP will rely on for boosting production and margins. The acquisition adds oil and gas production of 190,000 barrels of oil equivalent per day (boe/d) and 4.6 billion oil equivalent barrels (boe) of discovered resources in the liquids-rich regions of the Permian and Eagle Ford basins in Texas and in the Haynesville natural gas basin in East Texas and Louisiana, BP says. The U.S. shale sector is sensitive to oil prices and drillers respond to them by adding or reducing working rigs, also because shale production is shorter-cycle and easier to switch on and off than complex conventional oil projects. While OPEC and its Russia-led allies have been looking for two years now at supply and demand and adjusting production to avoid another oil glut similar to the one that crashed oil prices in 2014, U.S. shale has been benefiting from the OPEC/non-OPEC coordinated market action and the increase in oil prices over the past two years. Producers have been pumping record amounts of crude oil in the United States, which is already the world’s top oil producer ahead of Russia and Saudi Arabia. U.S. crude oil production hit a record 12 million bpd in the week ending February 15, rising by 100,000 bpd from 11.9 million bpd in the previous week, EIA data showed last week. The U.S. is on a solid trajectory to retain the title of the world's largest oil producer well into next year's presidential election season, the Energy Department said on Thursday. The U.S. became the largest oil producer in the world last year, a fact that President Trump has touted, including in his State of the Union address earlier this month. 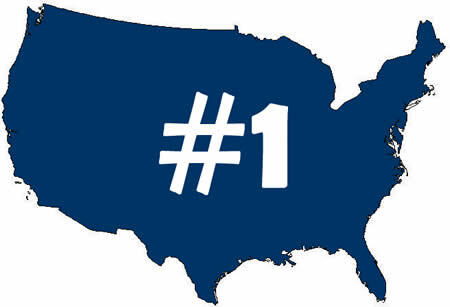 The U.S. will not only maintain its lead spot as top producer, but will greatly exceed what it produced last year in both 2019 and 2020, the Energy Information Administration said Thursday in its weekly oil analysis. Oil production will average 12.4 million barrels per day in 2019 and 13.2 million barrels per day in 2020, according to the agency, up from 11 million in 2018. The gains in oil production will come primarily from the oil drilling taking place in the Permian shale region of Texas and New Mexico, according to the agency. But significant offshore oil production is also expected to come online in the Gulf of Mexico. The agency's analysis accounts for 19 new offshore drilling projects to begin operations in 2019 and 2020. EIA expects production in the Gulf to average 2.0 million barrels per day in 2019, exceeding the record high last year of about 1.8 million barrels per day. Gulf oil production is projected to increase to an average of 2.3 million barrels per day in 2020. This year has already been busy in terms of tanker ordering activity with VLCCs and MRs once again appearing to be in vogue. So far this year (mid-February), at least 12 VLCCs and 11 MRs were ordered. Both types also received the most interest in 2018, with 42 and 49 units ordered, respectively. Now, the question is - was the start of 2019 just a blip or a sign of things to come? Gibson Shipbrokers asked in a report. Many factors will play a role in an investment decision - from fleet renewal programmes and regulatory developments, to speculative investments based on anticipated future demand. Other influences, such as prices and yard slot availability, will also play a role. Precisely determining shipbuilding capacity can be a tricky game, with different vessel types occupying slots for different periods of time, depending on their complexity. However, some conclusions can be drawn from what we know, and what we think might logically take place, Gibson said. Looking at historical activity, overall, ordering across all shipping sectors declined last year and remained low compared to the busier ordering periods seen in 2013-2015 and prior to that, the 2006-2008 boom. This implies that there is plenty of shipbuilding capacity to take care of higher ordering activity this year. Yet there are factors to consider, Gibson said. First, the shipbuilding industry has not been in good health in recent years. Many yards that were active during the last shipbuilding boom remain idle, while offshoot yards, such as Hanjin Subic Bay have struggled, having recently filed for rehabilitation following loan defaults. At the same time, consolidation is increasing, with Hyundai Heavy Industries (HHI) taking control of Daewoo Shipbuilding & Marine Engineering (DSME). Second, whilst investment in 2018 was well below record levels, contracting of complex LNGCs and containerships roughly doubled year-on-year, suggesting that newbuilding slots at premium yards could be a little scarcer over the next few years. This may be particularly true if, as widely reported in the press, a large LNGC order (for up to 60 vessels) is placed by Qatar. The timing of this deal may be unclear, but with the final investment decision now taken on the joint Exxon/Qatar Petroleum Golden Pass LNG project and Qatari aspirations to increase domestic capacity, the requirement is certainly there.? Higher consolidation should reduce 'overcapacity' in the South Korean shipbuilding sector, which, coupled with higher demand from other sectors (eg LNG), could support higher prices, potentially impacting on the volumes of newbuilds contracted. However, much depends on what happens in the Chinese shipyards and whether this sector also sees further consolidation. Nevertheless, prices have already increased over the past 12 months, with a newbuild VLCC (non-scrubber, South Korea) having risen around $10 mill over the past 12 months. Regulations may also make the decision trickier, owing to uncertainty over which fuel choice/compliance method represents the future. Some owners may wait to see how the next few years evolve before committing to newbuilding designs. Regardless of how these factors play out, replacement tonnage will be needed, and ordering activity will eventually surge. When this takes place, however, is key to the shape and timing of the next market upcycle, Gibson concluded. Seafarers on board two PDVSA controlled tankers are to be dismissed, due to unpaid debts accumulated by subsidiary PDV Marina. The vessels are the Suezmax ‘Rio Arauca’, which has been anchored in the River Tagus, off Lisbon for almost two years and the Aframax ‘Parnaso’, which is at the Setenave shiprepair yard in Setubal. In a message to Reuters, the vessels’ manager, Bernhard Schulte Shipmanagement (BSM) confirmed that both crews will be removed. Lisbon’s maritime court ruled to take possession of the ‘Parnaso’ last August. PDV Marina owes BSM at least $15 mill, according to a source at the company and a document seen by Reuters. BSM said the ‘Rio Arauca’ arrived in Lisbon in May, 2017 but has been inactive and unable to dock since then. She was seen in the Tagus by Tanker Operator’s Editor during a trip to Lisbon on 26th December, 2017. “BSM, as the manager for ‘Rio Arauca’, has operated a crew rotation, maintaining sufficient manning levels on board to ensure the vessel’s safety and security while at anchor in the Tagus for the past 21 months,” BSM told Reuters, adding that the vessel was securely at anchor. Legal responsibility for the vessel now sits with the arresting parties, BSM confirmed. Lisbon’s Port Authority (APL) told the newswire that ‘Rio Arauca’ had arrived with a cargo of crude for Portuguese oil company Galp Energia, but later local Portuguese company Navex declined to continue to be the tanker’s agent. As a result, the tanker was then subject to “successive arrest orders”, APL said. APL filed a petition against PDV Marina in April, 2018 over accumulating monthly charges of €200,000. APL said PDV Marina owed the port authority €1.7 mill as of the end of last year. In August, 2018 another arrest order was issued by bunker fuel broker, Amoil. BSM explained that Amoil had secured a maritime lien on the vessel claiming an unpaid debt by PDV Marina. ‘Rio Arauca’ arrived in Lisbon with 26 crew members but Portugal’s Immigration and Border Service (SEF) said only 16 people remained on board. The U.S. both exports and imports large amounts of crude because the variety it pumps -- especially newer supplies from shale formations -- is very different from the type that’s found in the Middle East. OPEC members are likely cutting heavier grades while American exports are predominantly lighter, Patterson said. By industry standards, American oil is considered light and low in sulfur, making it great for churning out gasoline, with the result that a glut of the automotive fuel is starting to build up. By contrast, Middle East crude often needs more processing -- not a problem for Gulf of Mexico plants that were designed specifically for that task -- but it can have a smaller gasoline yield. 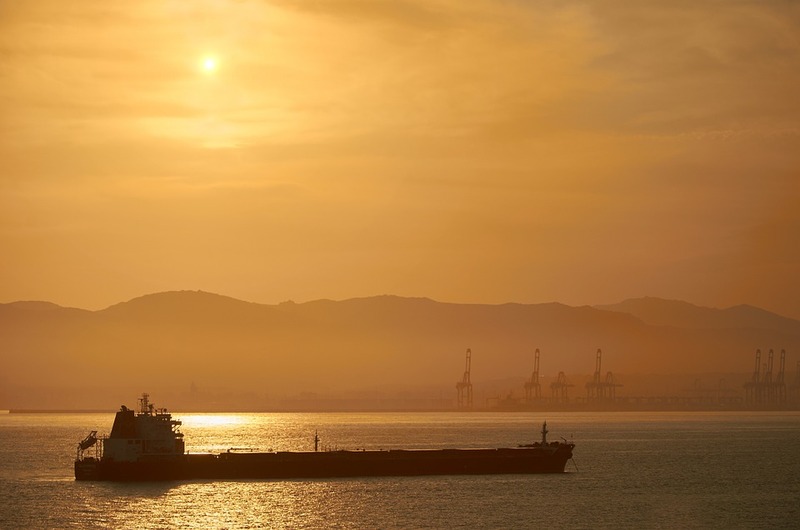 There are usually three or four empty supertankers -- very large crude carriers in industry jargon -- that would sail empty to the U.S. at any one time, according to shipbrokers. The shift has produced knock-on effects around the shipping market. 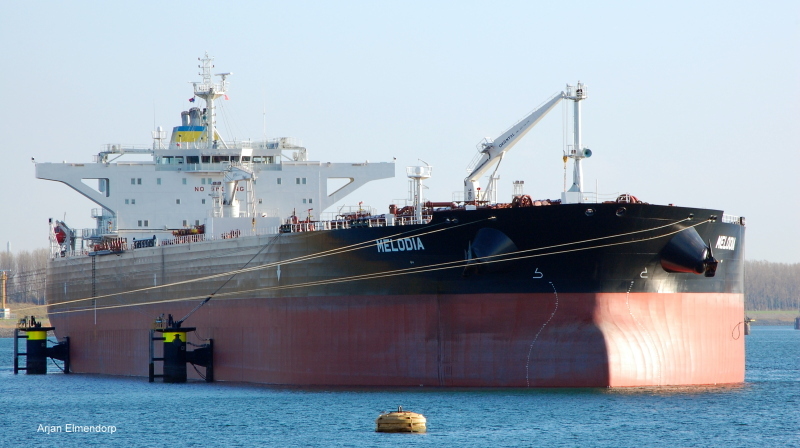 Daily earnings for the VLCCs, which can haul two million barrels of oil, on the benchmark Middle East-to-China route doubled to $29,337 in the past week, according to Baltic Exchange data. Saudi Arabia's Minister of Energy, Industry and Mineral Resources, Khalid Al-Falih (R) speaks during a press conference with his Russian counterpart Alexander Novak at the Ritz Carlton Hotel in the capital Riyadh on February 14, 2018. Crude futures have been slowly rising after Russia and Saudi Arabia agreed to cut oil supply. Saudi producers appear to be doing more to meet supply commitments than Russian counterparts. A rolling oil pact between Russia and Saudi Arabia which seeks to support prices by reducing output looks to be on shaky ground with only the Arab nation appearing to fulfil its promises. Late last year, OPEC producing countries, and non-OPEC producers, led by Russia, agreed to cut supply by 1.2 million barrels per day(bpd), an arrangement known as OPEC+. Saudi Arabia agreed to account for the bulk of OPEC nation cuts and has confirmed it will drop its crude oil production by a further 400,000 barrels per day to 9.8 million b/d in March. If achieved it would mean that since the December, Saudi Arabia has become responsible for 70 percent of the total OPEC+ target. In turn, Russia was set to account for the greater share of non-OPEC cuts, but from October to the beginning of February had only decreased output by 47,000 barrels per day. The slow pace to cuts from Russian oil producers drew criticism from Saudi Arabia's Energy Minister Khalid al-Falih, who told CNBC in January that Moscow had moved "slower than I'd like." That barb led to a response from Russian Energy Minister Alexander Novak who said at the beginning of February that Russia was "completely fulfilling its obligations in line with earlier announced plans to gradually cut production by May this year." During 2018, oil prices were dragged lower by increasing U.S. shale supply and fears over global demand. President Donald Trump has repeatedly criticized OPEC on its decision making, claiming prices should be lower. In November 2018 Trump tweeted that he hoped OPEC wouldnot cut oil output. On Tuesday International benchmark Brent crude was trading at $66.39 a barrel at around 12 p.m. London time (7 a.m ET), down around 0.1 percent, while West Texas Intermediate (WTI) stood at $56.09, almost 1 percent higher. Oil prices have steadily edged higher since the OPEC+ promise to cut supply and are now sitting at levels not seen since November 2018. But Torbjorn Soltvedt, principal MENA politics analyst at Verisk Maplecroft, said in a note Tuesday that any end to Russian-Saudi coordination would likely add significant downward pressure on prices. "Although our base case is still that Riyadh and Moscow find a compromise to extend the agreement, the pact is now looking more fragile than ever," said Soltvedt. The political analyst added that to save the pact he expected Saudi Arabia may even have to settle for "low levels of (Russian) compliance to save the pact." Verisk Maplecroft estimate that Riyadh needs $80 a barrel in order to fund its 2019 budget while in turn, Russian President Vladimir Putin has claimed that $60 is enough to satisfy Moscow's needs. The next meeting of OPEC and non-OPEC oil producers takes place in mid-April. 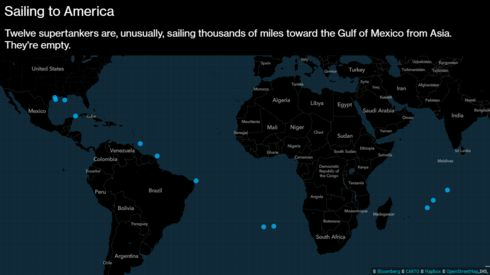 ABUJA and LONDON (Bloomberg) -- Nigeria is about to ship the first cargo of crude oil from a new deposit about 90 mi off its coast. 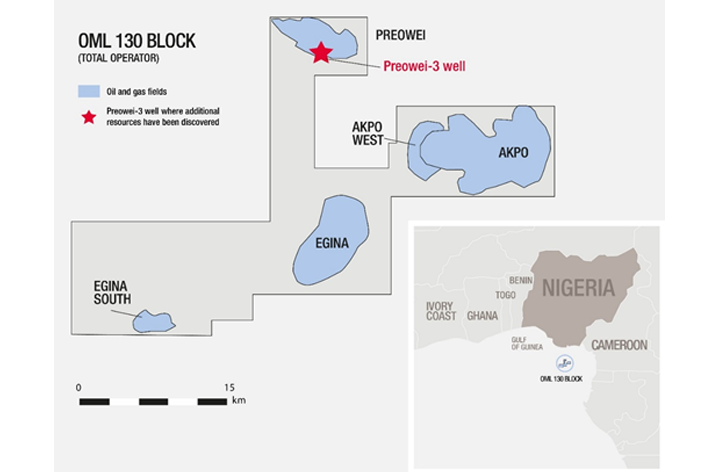 Nigeria’s Minister of State for Petroleum Resources Emmanuel Kachikwu has suggested the oil might be classified as a condensate -- a much lighter, more gasoline-rich oil that’s not bound by the OPEC+ curbs. 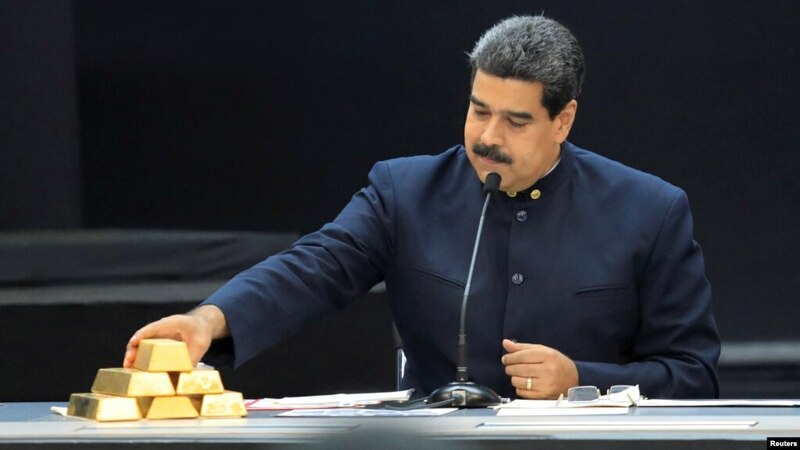 Caracas (AFP) - Venezuela's Supreme Court on Thursday ordered that executives appointed to boards affiliated with state oil firm PDVSA -- in a bid for control by opposition leader Juan Guaido -- face criminal prosecution. The court -- packed with Maduro loyalists -- ordered legal action against 15 executives that the National Assembly, headed by Guaido, named on Wednesday to form four new executive boards for PDVSA and its US-based affiliate Citgo. 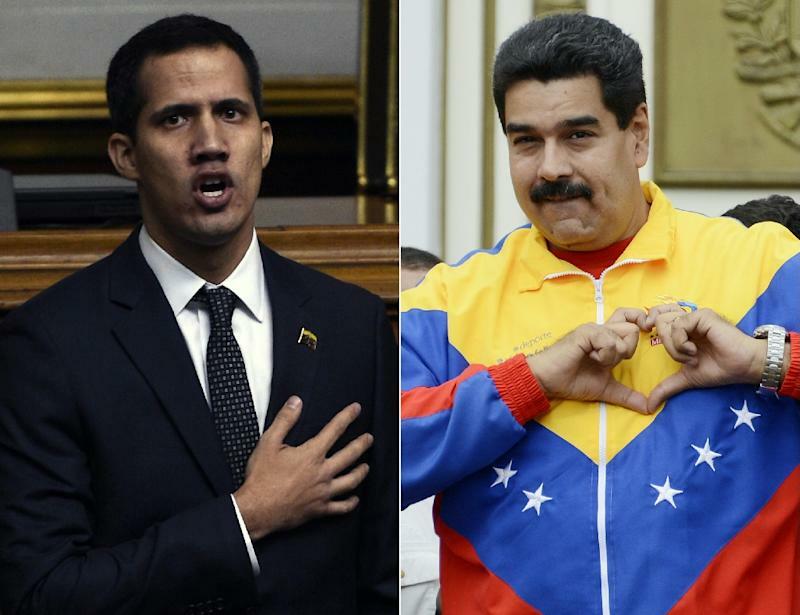 Guaido -- who has been recognized as acting president by more than 50 countries -- is locked in a battle with Maduro for control of the crisis-hit country. Guaido celebrated the appointments as a "step forward in the reconstruction of PDVSA," but Maduro had warned that those accepting "illegal" appointments would face justice. The high court ruled that the executives were named by a legislature whose decisions are "null," and that the appointees should face prosecution for crimes including "usurpation," "corruption," "organized crime" and "terrorism." HOUSTON (Reuters) - A federal judge in Houston ordered a former Venezuelan oil minister this week to pay the owners of a defunct Houston oil company $1.4 billion in damages in a fraud suit, although it is unclear if or how the payment will ever be made. U.S. District Court Judge Lee Rosenthal issued the default judgment on Wednesday after Rafael Ramirez did not contest Harvest Natural Resources’ claims, according to an opinion accompanying the ruling. James Edmiston, Harvest Natural’s former chief executive and director, said on Thursday he was pleased with the order. Whether the shareholders of Harvest will ever receive a payment from Ramirez “is the $1.4 billion question,” he said. Ramirez, in a message to Reuters, said he was not surprised by the order, but declined further comment. Harvest’s suit claimed Venezuela refused to allow the company to sell its assets in the country from 2012, leading it to lose $472 million. It accused Ramirez and others of seeking a $10 million bribe to approve the transaction. Rosenthal initially awarded Harvest $472 million in damages in December, an amount he tripled this week. Ramirez was appointed energy minister by late Venezuelan President Hugo Chavez, serving in that job until 2014. He later was the country’s ambassador to the United Nations, but left after being accused of corruption by Venezuelan officials amid a purge of executives at state oil firm PDVSA. International Chamber of Shipping (ICS) members expressed concern over the looming sulfur and greenhouse gas (GHG) reduction rules at a Board meeting last week. The ICS reviewed progress in persuading the IMO to take measures to address expected implementation problems, including outstanding safety and fuel compatibility issues associated with the use of new 0.5% sulfur blends and continuing uncertainty over the availability of compliant fuels in every port worldwide, a particular challenge for tramp trades. It was concluded that it will be vital for the IMO Marine Environment Protection Committee (MEPC) to complete this work at its meeting in May, 2019, as shipowners begin ordering compliant fuels. These included tightening of the Energy Efficiency Design Index (EEDI) for new ships – which already requires ships built in 2025 to be 30% more efficient than those delivered before 2013 – as well as proposals for a ‘Super SEEMP’ whereby existing Ship Energy Efficiency Management Plans (SEEMP) could be subject to mandatory external audits, probably as part of the ISM Code. “The ICS Board agreed that the industry cannot achieve the 2050 GHG reduction target using fossil fuels. Over the next decade, we are therefore going to require massive investment in research and development of zero CO2 emitting propulsion systems and other technologies, which don’t yet exist in a form that can be readily applied to international shipping, especially in deepsea trades.This will need to be a key component of the IMO strategy when detailed ideas for long term measures are taken forward during 2020,”he said. The ICS Board also endorsed the recommendation of the ICS Manning and Training Sub-Committee that the Chamber should encourage the IMO to embark on a comprehensive review of the IMO STCW Convention governing seafarers’ and training and certification standards, given increasing questions as to whether the STCW regime, which was last given a major overhaul in 1995, is still fit for purpose in the 21st Century. The meeting also expressed serious concern about the deteriorating security situation in the Gulf of Guinea (as discussed last week by the UN Security Council) where there has been a sharp increase in the number of attacks on ships’ crews, many of which were extremely violent.